Team AMP (AADAP Marathon Program) is the official endurance event training team for AADAP. 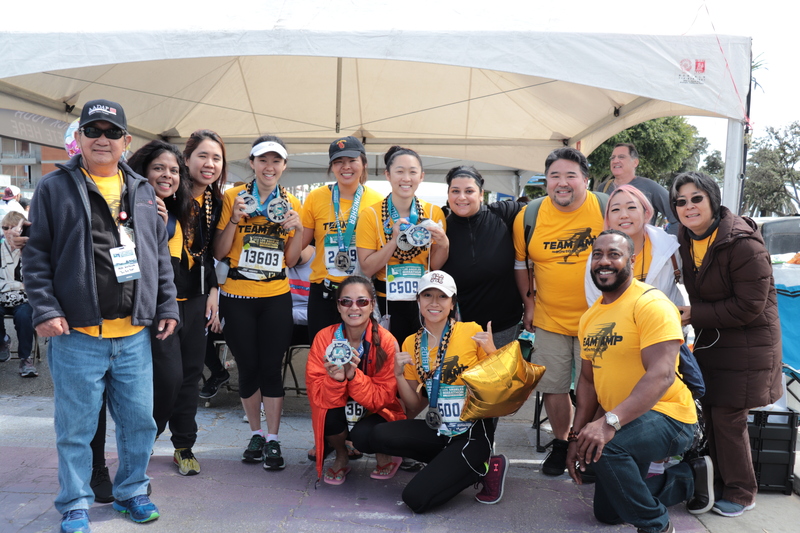 This is Team AMP’s eighth season as an Official Charity with the Los Angeles Marathon. Over 200 individuals have participated with Team AMP in the last 7 years, all together raising over $200,000 to support AADAP’s programs and mission to “Change Lives and Save Families”. Bring a Friend and Earn Fundraising Credit! Criteria: Must be new to Team AMP; each new member commits to the same fundraising and training requirements. Meet your fundraising commitment by December 31, 2018, and get a prize! With your help, we hope to raise $75,000 to help support programs that Change Lives and Save Families.